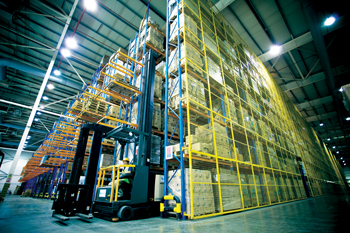 Qatar’s leading logistics provider Gulf Warehousing Company (GWC) has reported a 30 per cent increase in net profit during the first half of the current year, compared with the same period last year. The company made QR87.7 million ($24.08 million) in net profit, compared with QR67.6 million by the end of June 2014, said a GWC statement. This robust growth was mirrored in its revenue streams with total revenues peaking at QR405.7 million during the first half of 2015, a 21.3 per cent increase from QR334.6 million for the same period in 2014, it said. Earnings per share rose to QR1.84 ($0.51), an increase of 30 per cent compared with 2014. The company said levelling and compaction at the GWC Bu Sulba Logistics Park has reached its final stages, with construction on the site set to begin soon. The logistics park will boast the latest in warehouse and distribution management systems, technology, and facilities optimised for small and medium enterprises and start-ups in the State of Qatar. The Ras Laffan logistics hub expansion continues on schedule. Construction on the 15,000 sq m warehouse with specialised Hazmat logistics specifications and capabilities is half way complete. The remaining work is expected to be completed within the next half of 2015 and the warehouse will become operational by Q1 2016. The company has added courier services to its service portfolio. It signed an agreement to become the authorised service contractor for UPS in Qatar, said the statement. GWC began offering the range of UPS services after the inauguration of its new flagship outlet located on D-Ring Road last June 2015. Express shops were also opened in the Qatar Financial Centre in West Bay, Street 15 of the Industrial Area and in GWC facilities in Ras Laffan and Messaieed, it said. Meanwhile, construction work on Phase 5 of Logistics Village Qatar has kicked off. Work is being carried out on 2.85-hectare and 1.7-hectare distribution centres coming up in the development. A mosque and housing units are also being constructed. Earlier this year, GWC announced it would accomplish equestrian logistics projects in Qatar. 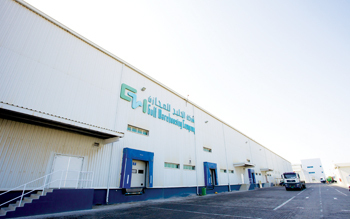 The company said the new activity fulfilled its vision to become the most sought after third-party logistics provider in Qatar and the GCC. “GWC Equestrian will be an end-to-end solution, transporting horses and their related assets by land and air, as well as offering all related value-added services. Among these services will be international airfreight for the movement of all types and breeds of horses worldwide, quarantine and supervisory services, supervision of customs clearance and tarmac supervision, aircraft charter services, as well as consultancy for the movement of horses,” a statement said. Also, recently, GWC and Constantine UK announced a collaborative alliance under which GWC-Constantine Fine Art will execute fine art logistics in Qatar. “The partnership will allow institutional and private collectors, museums and galleries to obtain the highest international standards of fine art logistics here in Qatar,” the local company said.